Orthodoxy is plagued by perils as well as difficulties, and the perils are even more disturbing than the difficulties. When orthodoxy slights its difficulties, it elicits criticism; but when it slights its perils, it elicits scorn. The perils are of two sorts–general and specific. The general perils include ideological thinking, a highly censorious spirit, and a curious tendency to separate from the life of the church. The specific peril is the ease with which orthodoxy converts to fundamentalism. Fundamentalism is orthodoxy gone cultic. When we speak of fundamentalism, however, we must distinguish between the movement and the mentality. The fundamentalist movement was organized shortly after the turn of the twentieth century. When the tidal wave of German higher criticism engulfed the church, a large company of orthodox scholars rose to the occasion. They sought to prove that modernism and Biblical Christianity were incompatible. In this way the fundamentalist movement preserved the faith once for all delivered to the saints. Its “rugged bursts of individualism” were among the finest fruits of the Reformation. But the fundamentalist movement made at least one capital mistake, and this is why it converted from a movement to a mentality. Unlike the Continental Reformers and the English Dissenters, the fundamentalists failed to connect their convictions with the classical creeds of the church. Therefore, when modernism collapsed, the fundamentalist movement became an army without a cause. Nothing was left but the mentality of fundamentalism, and this mentality is orthodoxy’s gravest peril. The mentality of fundamentalism is dominated by ideological thinking. Ideological thinking is rigid, intolerant, and doctrinaire; it sees principles everywhere, and all principles come in clear tones of black and white; it exempts itself from the limits that original sin places on history; it wages holy wars without acknowledging the elements of pride and personal interest that prompt the call to battle; it creates new evils while trying to correct old ones. The fundamentalists’ crusade against the Revised Standard Version illustrates the point. The fury did not stem from a scholarly conviction that the version offends Hebrew and Greek idioms, for ideological thinking operates on far simpler criteria. First, there were modernists on the translation committee, and modernists corrupt whatever they touch. It does not occur to fundamentalism that translation requires only personal honesty and competent scholarship. Secondly, the Revised Standard Version’s copyright is held by the Division of Christian Education of the National Council of the Churches of Christ. If a fundamentalist used the new version, he might give aid and comfort to the National Council; and that, on his principles, would be sin. By the same token, of course, a fundamentalist could not even buy groceries from a modernist. But ideological thinking is never celebrated for its consistency. The mentality of fundamentalism sometimes crops up where one would least expect it; and there is no better illustration of this than the inimitable New Testament scholar, J. Gresham Machen. Machen was an outspoken critic of the fundamentalist movement. He argued with great force that Christianity is a system, not a list of fundamentals. The fundamentals include the virgin birth, Christ’s deity and miracles, the atonement, the resurrection, and the inspiration of the Bible. But this list does not even take in the specific issues of the Protestant Reformation. Roman Catholicism easily falls within the limits of fundamentalism. While Machen was a foe of the fundamentalist movement, he was a friend of the fundamentalist mentality, for he took an absolute stand on a relative issue, and the wrong issue at that. Machen gained prominence through his litigations with the Presbyterian Church U.S.A. He contended that when the church has modernists in its agencies and among its officially supported missionaries, a Christian has no other course than to withdraw support. So Machen promptly set up “The Independent Board for Presbyterian Foreign Missions”; and with equal promptness the General Assembly ordered the Board dissolved. Machen disobeyed the order on the conviction that he could appeal from the General Assembly to the Constitution of the church. But this conviction traced to ideological thinking, for if a federal system is to succeed, supreme judicial power must be vested in one court. This is federalism’s answer to the threat of anarchy. Wrong decisions by a court are not irremediable; but until due process of law effects a reversal, a citizen must obey or be prosecuted. Machen became so fixed on the evil of modernism that he did not see the evil of anarchy. This fixation prompted him to follow a course that eventually offended the older and wiser Presbyterians. These men knew that nothing constructive would be gained by defying the courts of the church. Perhaps the General Assembly had made a mistake; but until the action was reversed by due process of law, obedience was required. No individual Presbyterian can appeal from the General Assembly to the Constitution, and to think that he can is cultic. Machen thought it would be easy to purify the church. All one had to do was to withdraw from modernists; the expedient was as simple as that. “On Thursday, June 11, 1936,” said Machen to his loyal remnant, “the hopes of many long years were realized. 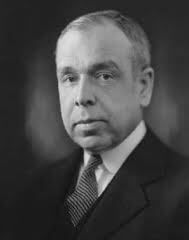 We became members, at last, of a true Presbyterian church.” It was not long, however, before Machen’s true church was locked in the convulsions of internal strife. The prophecy of the older Presbyterians was fulfilled. Since Machen had shaken off the sins of modernists, but not the sins of those who were proud they were not modernists, the separatists fondly imagined themselves more perfectly delivered from heresy than the facts justified. This illusion spawned fresh resources of pride and pretense. The criteria of Christian fellowship gradually became more exacting than Scripture, and before long Machen himself was placed under suspicion. He had not taken his reformation far enough: the church was not yet true. This time the issue was not modernism; the issue, ostensibly, was dispensationalism and Christian liberty. And before this quarrel ended, a second true church was founded. Still, no classical effort was made to define the nature of the church. This is how the mentality of fundamentalism operates. Status by negation, not precise theological inquiry, is the first order of business. When there are no modernists from which to withdraw, fundamentalists compensate by withdrawing from one another. Machen tried to blend the classical view of the covenant with a separatist view of the covenant people. He honored Reformed doctrine, but not the Reformed doctrine of the church. This inconsistency had at least two effects: first, it encouraged Machen’s disciples to think that the conditions of Christian fellowship could be decided by subjective criteria; secondly, it planted the seeds of anarchy. If Reformed theology could not define the nature of the church, how could it define the nature of anything else? The result was a subtle reversion to the age of the Judges: each man did what was right in his own eyes. Rebellion against the courts of the church converted to rebellion against the wisdom of the ages and the counsel of the brethren. E. J. Carnell, The Case for Orthodox Theology, 1st edition, pp. 113-117, Westminster Press, 1959. …Edward J. Carnell, a prominent evangelical theologian and president of Fuller Theological Seminary in the late 1950s declared that Machen had exhibited fundamentalism’s worst feature, a cultic mentality. Machen, according to Carnell, had taken “an absolute stand on a relative issue” and was thereby unable to see how his “subjective criteria” for Christian fellowship had planted the seeds of anarchy among conservatives. Given his assumptions, of course, Carnell had a point. If what evangelicals needed was greater unity in order to promote more effective outreach, then Machen’s loyalty to Presbyterian polity and doctrinal standards was excessive and threatened evangelical cooperation. But what Carnell and many evangelical leaders did not see was that Machen and the OPC had a different understanding of outreach, one that was rooted in the historic Protestant conception of the church. According to the Protestant Reformers, the marks of a true church were proclamation of the gospel, administration of the sacraments, and correction of faith and practice through discipline. Modern day evangelicals, these conservative Presbyterians believed, were pursuing evangelism outside the means that Christ had appointed. From the OPC’s perspective, the basis of evangelical unity was equally subjective because it failed to take into consideration how the creedal commitments of individual denominations squared with the larger aim of evangelical cooperation. The issue was not separatism but discipline and integrity. While remaining separate from the NAE may have looked particularly narrow if not self-righteous, the idea of the church’s corporate witness taught Orthodox Presbyterians that joining a[n] interdenominational enterprise would undermine their commitment to uphold and preserve Presbyterian polity and theology. Thus while evangelicals in the 1940s and 1950s worked through the NAE to minimize doctrinal and ecclesiastical differences in order to further evangelism, the OPC made the doctrine of the church central to its ecumenical considerations. D.G. Hart, “J. Gresham Machen, the Reformed Tradition, and the Transformation of Culture,” Evangelical Quarterly, vol. 68, no. 3 (1996), pp. 317, 318. “First: All other things being equal, a Christian should remain in the fellowship that gave him spiritual birth.” Unfortunately, the qualification “all other things being equal” seems to be an subtle appeal to the same kind of subjective criteria for Christian fellowship that Carnell found so offensive in Machen’s thought. “Secondly: A Christian should judge the claims of a church by its official creed or confession, not by the lives of its members.” Here Carnell seems to oversimplify what is an exceedingly complicated situation. He seems, in fact, to be condoning a maxim of the nature “Don’t do what I do, do what I say.” It apparently didn’t bother Carnell when he wrote these words if a church or members within a denomination did not believe its creed. Is the conservative supposed to bury his head in the sand and say, “Of course, we both know that you don’t really believe this creed, but as long as you make a pretense of believing it I’ll go along with you”? Carnell seems to think that the conservative should be satisfied if he is free to preach his gospel and free to protest against abuses. But the question goes deeper than this. Is the conservative only preaching his gospel or the gospel? These responses to Carnell deal with the overarching question of how the Christian is to handle official ties to those who claim the name of Christ but deny the essence of the gospel. The modernists in the Presbyterian church had eviscerated the gospel, and those who were not modernists tolerated it, like Eli who apparently failed to act against his sons who committed grievous offenses in the ceremonial temple worship. Carnell’s view that Machen should not have separated from the Presbyterian church is deficient. It is true that the individual impiety of officers of the church may not provide reason to separate, as Calvin said. The marks of the true church are 1) the preaching of the Word of God, 2) the administration of the sacraments, and 3) biblical church discipline. These marks may persist in the midst of serious personal failings of the ministers and congregation. However, when ministers practice, or condone the practice of replacing the gospel of the Bible with a false gospel (e.g., a “social gospel), the church, having abandoned the Great Commission, has ceased to be the true church. It has ceased to have biblical authority over believers. Believers may choose to work within that institution in a missionary capacity, reminding it of its own creeds and confessions and calling it to repentance. That is what Machen did for a time. But when the nature of Christ and his atonement are replaced with heretical teaching, the church has committed spiritual adultery, following after another god. The believer has the right to secede from that unfaithful church, not removing himself from all ecclesiastical authority but placing himself under the authority of a remnant that has remained faithful to the gospel. That is, after all, what the first Christians did–they separated from the synagogues and formed churches that did not reject Christ and his atoning work.